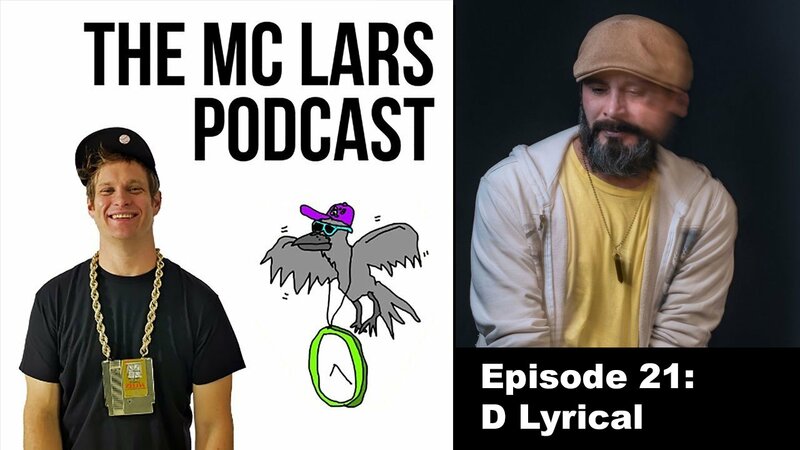 Two of our homies, MC Lars and D-Lyrical (of Intelligence & Violence) had a chance to chop it up for over an hour on the MC Lars Podcast that just dropped yesterday! In the interview, Lars takes a deep dive into the history of D-Lyrical and ICP, dissecting tidbits that were first talked about in our D-Lyrical Interview from 2017. There was a lot that was talked about, including opening for Ouija Macc, working with F.Dux, reuniting with J and Shaggy at an ICP show last year during the VIP meet and greet, D-Lyrical’s latest project, the Gathering, his past and current musical tastes, and so much more! MC Lars put a short description of the episode on his Soundcloud, and you can see that below. Without D Lyrical, there would have been no ICP. On this episode, I talk to Detroit rap legend Dale Miettinen Jr., a.k.a. D Lyrical! We connected online when I started my Hatchet Chat series and reviewed the EP he and Violent J released in 1990, “Intelligence and Violence”. We met at the Gathering and did this interview when I came to Cleveland with I Fight Dragons late last year. A great interview about the origins of the Dark Carnival and Dale’s solo career. We’d love to hear what you think about the interview! As I type this, I’m halfway through it and enjoying every minute of it! Much props to both MC Lars and D-Lyrical for showing love to Faygoluvers, and providing this refreshing interview for all of us to enjoy!